A Place At the Table includes a brief overview of the history of food insecurity in the United States, as well as the evolution of the public policy to address hunger. 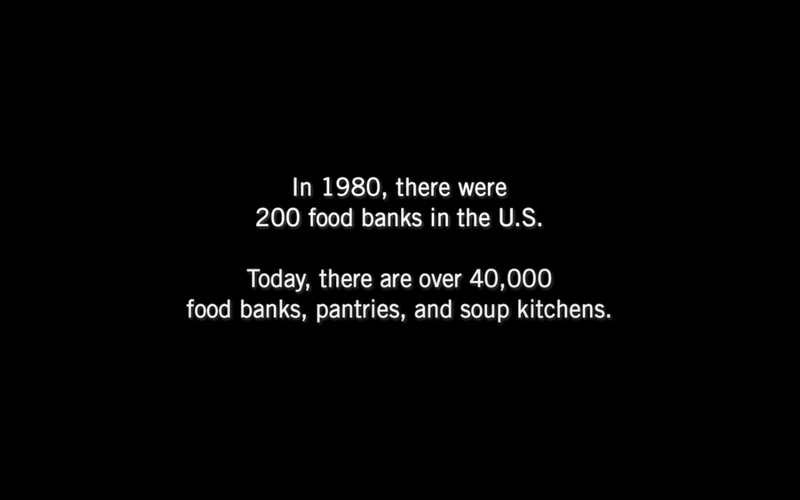 Claim: In 1980, there were 200 food banks in the U.S. Today, there are over 40,000 food banks, pantries, and soup kitchens. Fact: The Oklahoma City Food Bank was the 21st food bank in the U.S. when it opened in 1980. According to the USDA, there are currently over 200 food banks in the U.S., with over 63,000 food pantries and shelters. 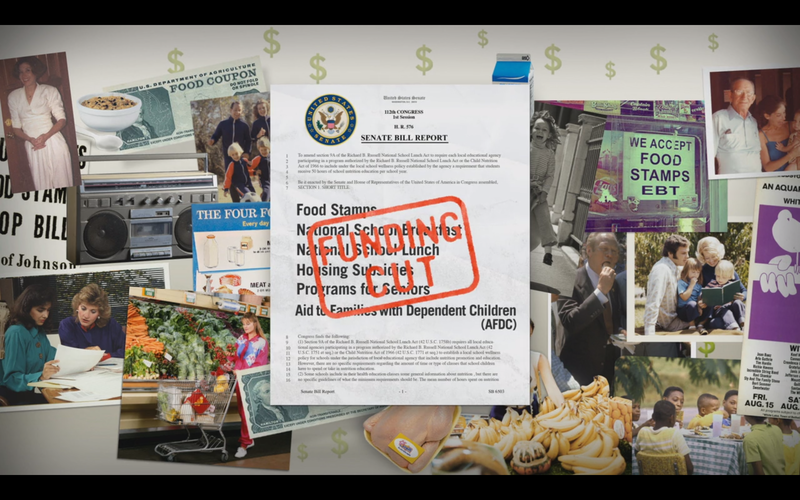 Claims: A Place at the Table gives a brief survey of the history of food insecurity in the United States and the relationship of food insecurity to funding for social services programs. It claims that after the success of earlier food assistance programs almost eradicated hunger the 1960’s, hunger has been steadily growing since the presidency of Ronald Reagan. Under Reagan, large increases in defense spending and budget cuts for social programs led to greater food insecurity, which has been growing ever since. Facts: History from the USDA do confirm that large cutbacks were made 1981-1982 for food assistance programs. More information about the history of food assistance programs can be found the USDA’s website. 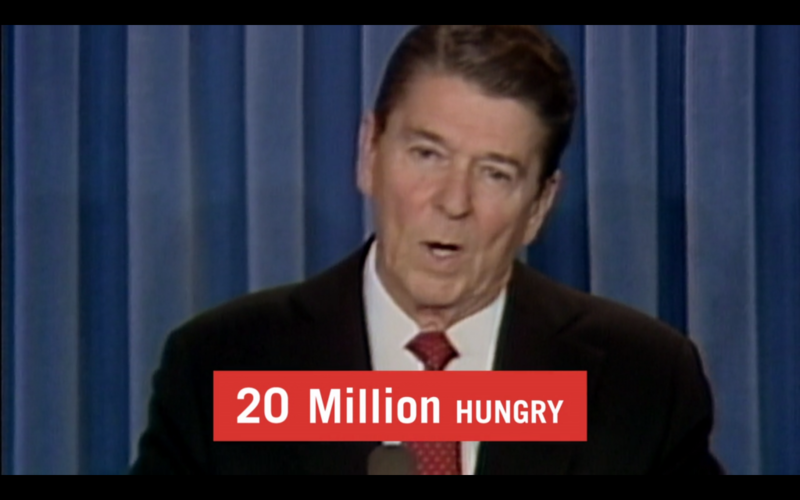 Claim: During Ronald Reagan’s presidency (1981-1989), there were 20 million individuals affected by hunger. Fact: If we define hungry individuals as those who took part in food assistance programs, according to the USDA, there were 22,430,000 food stamp participants in 1981 when Reagan assumed office. These numbers decreased during his presidency, and the total for 1988 was 18,645,000 individuals. Claim: During George H.W. 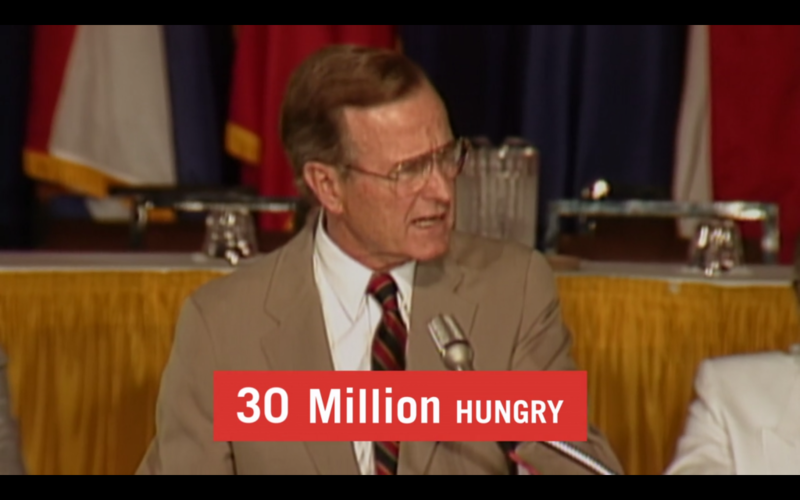 Bush’s presidency (1989-1993), there were 20 million individuals affected by hunger. Fact: If we define hungry individuals as those who took part in food assistance programs, according to the USDA, there were 25,407,000 food stamp participants in 1992. 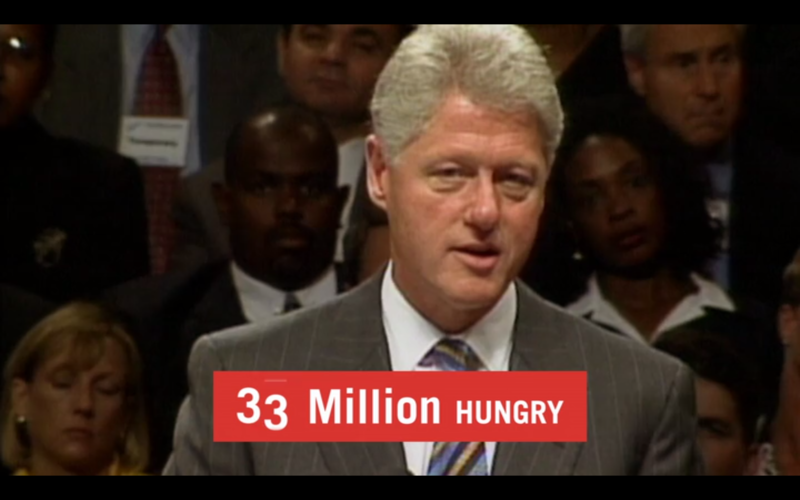 Claim: During Bill Clinton’s presidency (1993-2001), there were 33 million individuals affected by hunger. Fact: According to the USDA, 33,231,000 million individuals were food insecure in 2000. 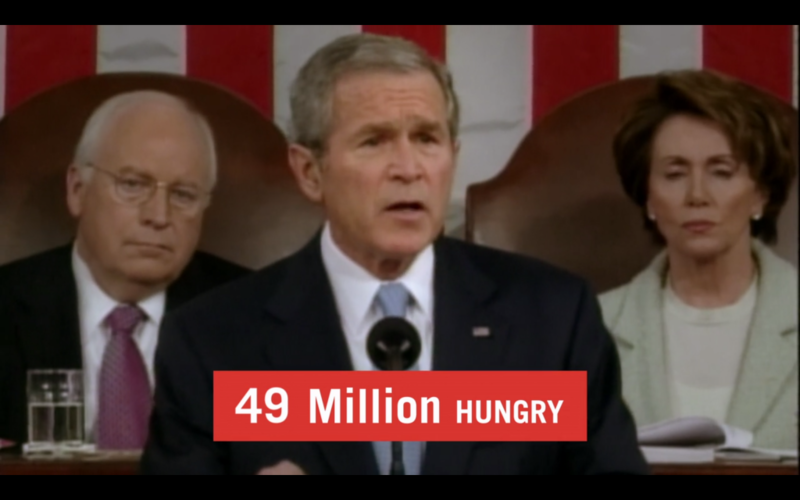 Claim: During George W. Bush’s presidency (2001-2009), there were 33 million individuals affected by hunger. Fact: According to the USDA, 49,108,000 million individuals were food insecure in 2008. 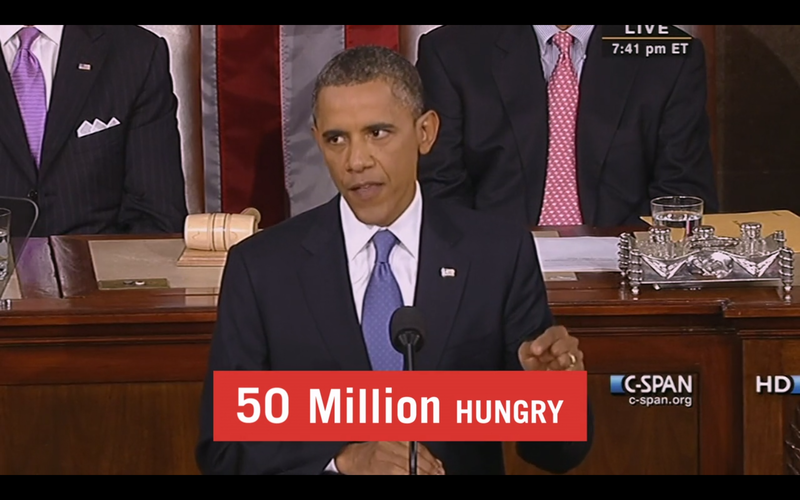 Claim: 50 million Americans are hungry under Obama’s presidency. Fact: According to the USDA, in 2011, 50,120,000 individuals were classified as food insecure.